I'm horrified by the tragic events of the Boston Marathon finish line bombings yesterday. 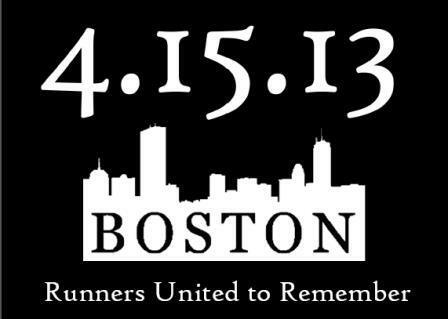 Today I will run for Boston. I will run for the running community. I will run for me. Definitely will join you....running after work and wearing a race shirt under my scrubs. I will be running and wearing my race shirt. I ran and wore my race shirt...still hard to believe. The running community is SO inspiring. Happy to be part of it. A race shirt and 6 miles for Boston. The running community never ceases to amaze me.